Thanks Honeyz Cube for inviting me to the Honeyz Cube x HKCplaza Pamper Party, It’s an eye-opener for me to know more about Lee JiHam products, shopping site HKCplaza.com and pampering sessions of V-Line Facial Treatment + Manicure by Nail’s D’vine. Nail’s D’vine interior is in Royal European theme, make me feel like I’m the Royal Queen while I was doing the services there. There’s a corner for kids with toys and doll house, how thoughtful! Do you know that? All customers of Nail’s D’vine are entitled to SG$10.00 cab rebate, with the following conditions: Allow claim of of maximum SG$10.00 in form of payment deduction. Claimable upon any product or service purchases (if any) only at Nail’s D’vine. Original cab receipt must be presented upon billing. Strictly not exchangeable for cash. The event kicked off with the introduction and trying out of Lee JiHam products. Lee JiHam a chain of Skin & Aesthetics Clinics with 50 over Clinics in South Korea. LJH products are specially formulated with 3 of their Key Doctors. It was manufactured due to lack of suitable home skin care for their own Skin Patients. All products are researched and developed basing on various Patients’ skin problems hence all products are totally safe for Healing Sensitive Skins. Satisfying Customers with healthy skin and true beauty. The instant brightening effect by oxygen cleansing. Apply a thin layer on the skin, slowly the clear gel will turn into bubbles, the super fine bubbles will deep cleanse and brighten up your skin instantly! Now you can purchase LJH Oxygen Bubble Brightening Pack with a special price of $58 (Original Price: $76) at HoneyzCube.com or HKCplaza.com. 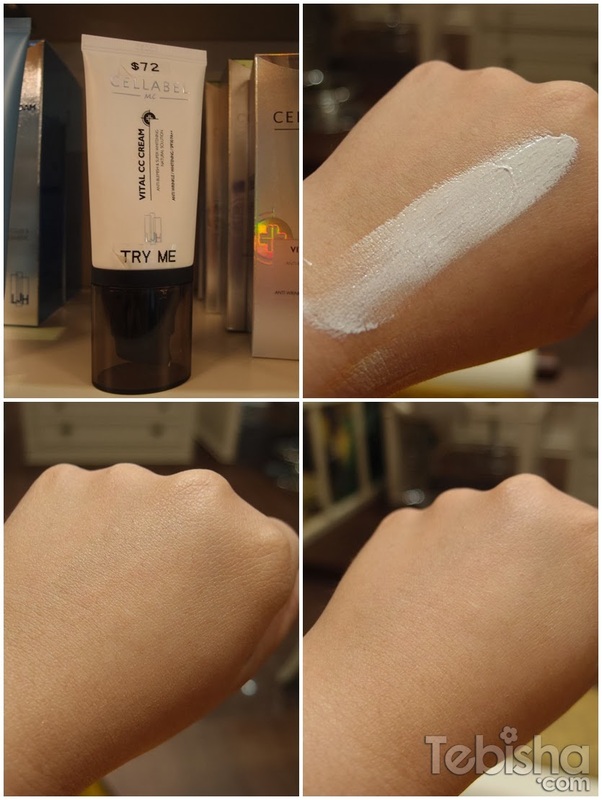 This is another awesome product by LJH, LJH Cellabel M.C.Vital CC Cream is a multi-purpose cream that acts as both a foundation and a sunblock. Its clever formulation not only treats blemishes but also covers them well by matching their color to your skin tone like a chameleon! On top of that, its rich source of vitamin C also helps to prevent skin troubles and improve skin condition. And we’re talking about 800 times more Vitamin C than apples. It’s now available at HoneyzCube.com & HKCplaza.com with a special price of $58 (Original Price: $72). Hurry while stock last! Introducing the NEW LJH P.Antarctica 77 Cream! 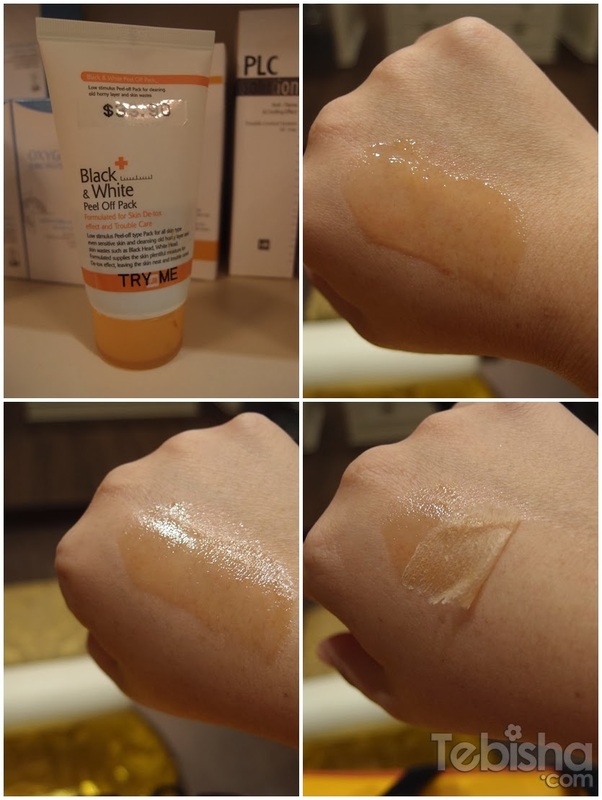 Fresh, non-sticky, non-oily, non-shiny and non-greasy gel cream that forms into water upon contact with skin. 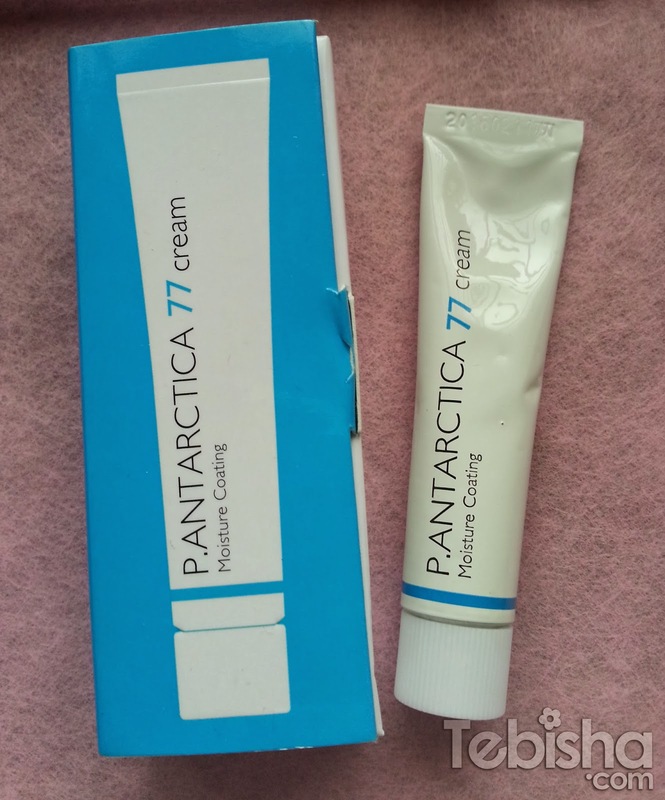 The main ingredient, P.Antarctica Extract stands 77% of the product and it is extracted from Antarctica hence the name “P.Antarctica 77 Cream Moisture Cream”. P.Antarctica 77 Cream Moisture Cream is also available at HoneyzCube.com & HKCplaza.com with a special price of $34 (Original Price: $42). After trying out the star products from LJH, it’s time for me to experience the LJH Signature Face Slimming Treatment! I were brought into this comfortable facial room for the treatment session. Showing you the results after doing on one side of my face. You can see the the V-Line on my after treatment face is more obvious and the skin is firmer the the side without treatment. Going to continue the another side on my face and show you the instant result of V-Line of my face! The treatment consist of 3 steps, these are the dirts extracted from my face even after cleansed with makeup remover & cleanser. The Derma Skin Tech Device will deep cleanse your face and allows the products be to absorbed into your skin effectively. 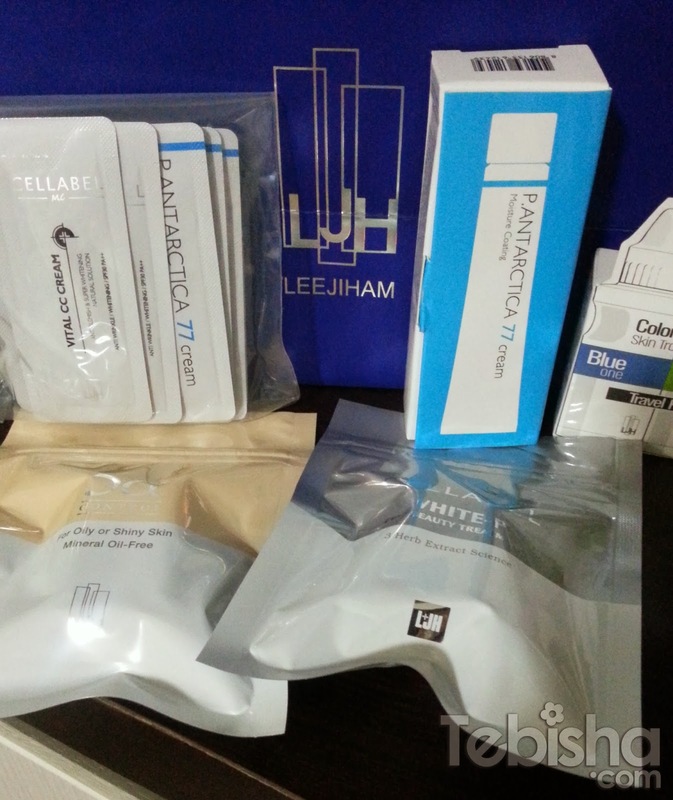 This is the LJH Derma Skin Tech Device and Doctor’s Care Derma Anti-Aging Ampoule and Massgae Gel. This is me after the whole treatment! You can see my V-Line is so much more obvious! The V-Line treatment can last you for 2 weeks! Special Treats to my Readers! Quote “tebisha” to get 20% for any services purchased at www.HKCplaza.com/Nails-Dvine. 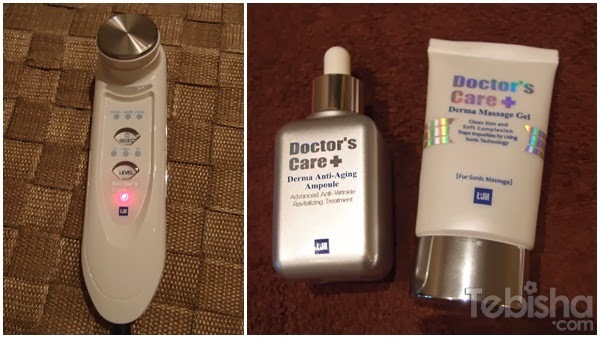 With the promo code above You can also enjoy 20% off for the Relaxing Facial & LJH Doctor’s Care Derma Skin Tech V-Line Program @ Nail’s D’vine (V-Line Face Slimming)! Limited to first 10 readers only! 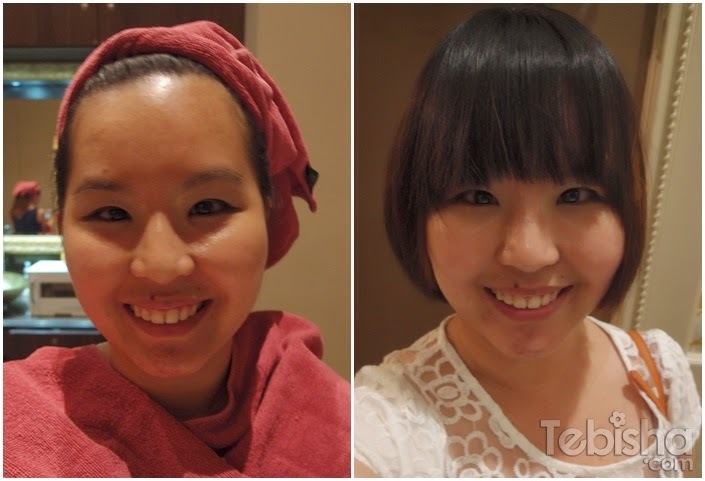 After the V-Line Face Slimming treatment, another round of pampering session for me! All the bloggers attended this Party were treated with the Antarctica-themed Nails! Thanks Honeyz Cube for organizing this fabulous party. Thanks Nail’s D’vine for the Facial and Manicure Sessions. And lastly, Thanks Lee JiHan for the awesome goodies bag! HKCplaza is a mall from Korea, with focus in Singapore, Malaysia, Indonesia & Philippines markets. Korean Community, Korean Beauty, Fashion, Snacks outlets. Everything Korea! Visit HKCplaza for your Korean Product needs! Additional to HKCplaza, HoneyzCube E-Store is an Official E-store for LJH Cosmetics full range.